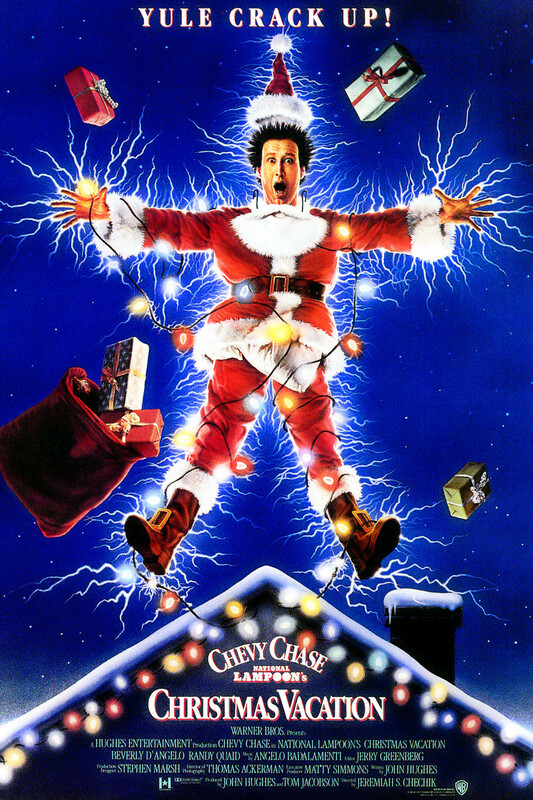 National Lampoon’s Christmas Vacation is a 1989 Christmas comedy film directed by Jeremiah S. Chechik. It is the third installment in National Lampoon’s Vacation film series, and was written by John Hughes, based on his short story in National Lampoon magazine, “Christmas ’59”. Two fonts have been used in the film title in the poster: the “National Lampoon’s” part features an extra bold roman typeface called Cooper Black while the “Christmas Vacation” part is set in an old style serif typeface named ITC Garamond Bold.